The Dorado/Oswald is a working placer gold mine and 40 acre ranch in the historic gold mining area of Canyon Creek in Trinity County California. 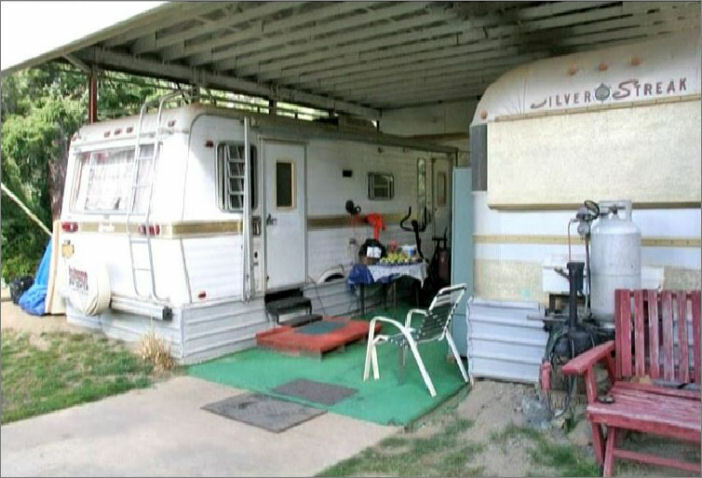 The property is Located 20 miles from Weaverville. 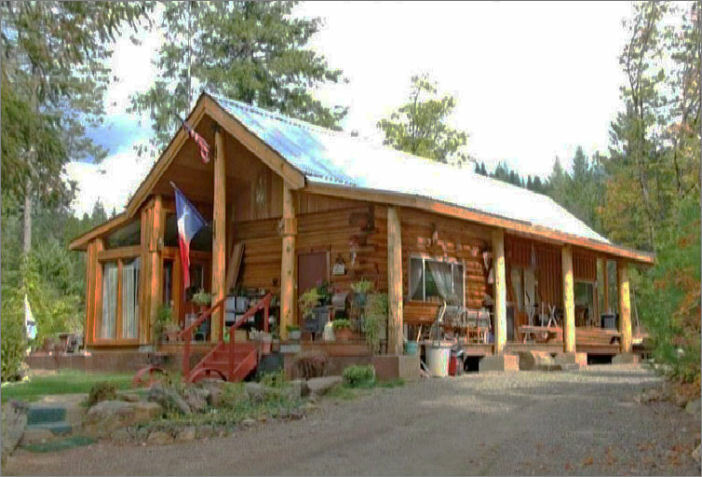 This beautiful 40 acre ranch comes with a modern log home and all of the amenities for year round recreational country living. This includes a fully patented, permitted and producing placer gold mining operation, the Oswald Patent. No chemicals are used in the gold recovery process. This water-based placer mining operation has been approved and permitted by the U.S. forest service as being environmentally sound. Crystal clear trout streams, abundant wildlife, beautiful surrounding wilderness, and scenic views will be yours to enjoy along with a potential 7 figure annual income available from gold production. 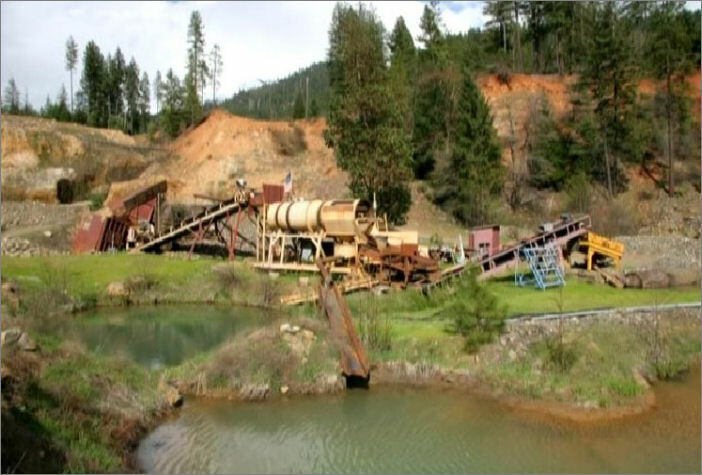 This working placer gold mine has been in operation for a little over seven years. An expert geologist’s opinion states that the balance of this Dorado/Oswald placer can produce approximately 99,000 yards, working ten month out of the year. There are 4 acres left in area one that are yet to be mined. The owner has 9.4 acres in area two that has yet to be mined. In area five – one acre has yet to be mined. 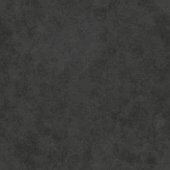 Year around all-weather roads have been built. It snows some in the mountains, but once the snow dries the claim has some of the best roads you have ever seen. Roads have been built down to the ponds and the lakes. What you are looking at here is a complete gold mining operation; fully bonded, fully permitted and we are of the opinion that you can hang up your clothes in the cabin and go to work tomorrow. It is fully furnished. The placer claims should be able to be worked later this year, provided the forest service finishes their environmental impact study. There is no guarantee of the amount of gold in the placer claims, but we have every evidence in the world that we will be able to recover a similar type of recovery that was had on the Scarlet Ray Mine and also on our property. “This is one of the best placer deposits I've seen in the last 8 to 10 years. There are more placer deposits than any man can work out in the next 5 to 6 years. 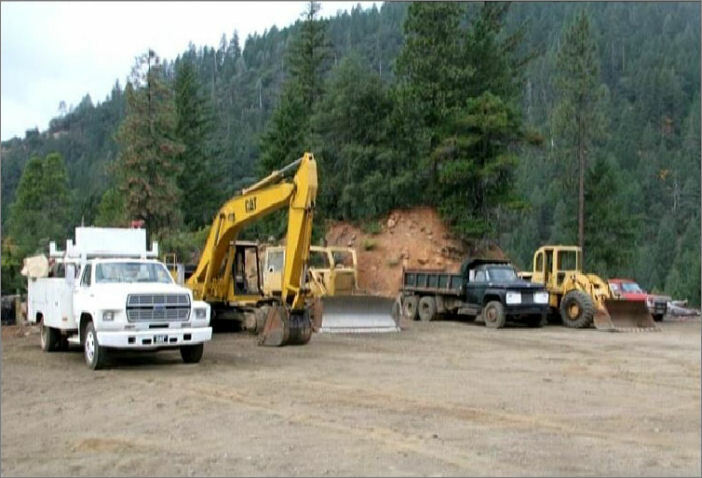 Now if you want to make some big money on this placer deposit come in here and get about 500 to 600 yards per day.” Robert Derby, a mine engineering and geologist from Woodbury College has been in the mining business over 40 years and worked in 8 different western states; working with mostly placer operations.